Who knew that white vinegar was so useful? Your regular household white vinegar can be used from everything from cooking to cleaning, and it has so many other great purposes. For hundreds of years, people have been using vinegar as a holistic medicine, a safe cleaning agent, and many other things. Made of only 5% acetic acid, it naturally fights germs and it doesn’t cause breathing problems like other chemical cleaners might. Clean your coffee pot. Over time, the water used in your coffee pot can create stains and mineral deposits. These can be easily cleaned by pouring a mixture made with water and vinegar (the ratio is 1:1). Set the coffee to brew and let it cool. Fill your reservoir with water and run your coffee machine to rinse. Rinse several times. Remove the odor from the washing machine. If your clothes have been sitting in the washing machine too long, they will develop a musty odor. Fill your washing machine with water, and add 3 cups of vinegar. Turn the washing machine off so your clothes can soak for one hour. Turn the washer back on and let the cycle complete as normal. Use white vinegar to take care of your acne. It naturally fights grease and bacteria to leave your face and body from from pimples and blackheads. Save money on expensive dishwasher rinses like Jet-Dry. Instead, fill the tray in your dishwasher with vinegar. It works beautifully and saves a lot of money. Has your laundry been sitting too long? If so, it probably has a terrible mold or mildew smell. Refill the washing machine with water and 4 cups of vinegar. Let it soak for 1 hour, then wash as you normally would. The smell will go away! 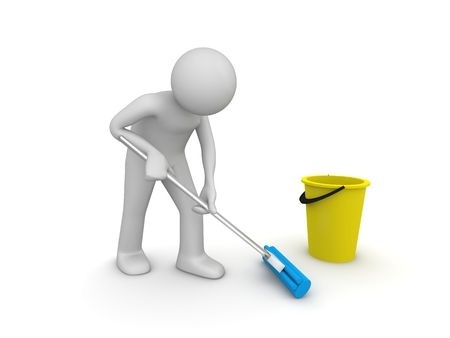 Clean your hard wood floors with a mixture made of a ratio of ½ water and ½ vinegar. Mop your floors with the liquid. It will clean and disinfect and your floors will look great. Clean your bathroom sink. Take two paper towels and fold them into a long, flat rectangle. Pour vinegar straight onto the towels and lay them across any corrosion on your bathroom sink. This works particularly well around the base of your faucet. The next day, wipe clean to remove the corrosion. When you cook a roast, add a little vinegar into the sauce to tenderize your meat. 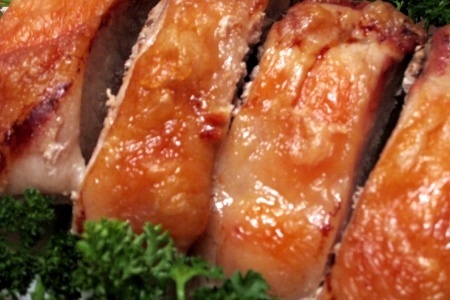 You can also make mouth-watering barbecue ribs by parboiling the pork before cooking. Add a few tablespoons of vinegar to make the meat fall off the bones. When deep frying foods, fill several small bowls with vinegar. Spread the bowls around the kitchen, and they will absorb the oily mixture in the air. This works great when you have burned your dinner, too! When you are making hard boiled eggs, pour 1 Tbsp of white vinegar into the water. It will keep the egg white inside if the egg shell breaks.